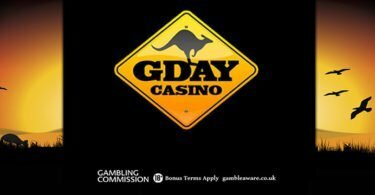 Speedy Casino: New Pay N Play Casino – Instant Withdrawals! Speedy Casino is a new casino from Hero Gaming. The Pay N Play casino allows players to instantly deposit and make withdrawals without any waiting times or wagering requirements! If you love slots and want to enjoy all your favourite titles in a fuss-free, secure and safe space, then make sure Speedy Casino is the next place you try! Available to download as an app from the App Store or play instantly through your desktop or mobile browser! Visit New Pay N Play Casino – Speedy Casino! 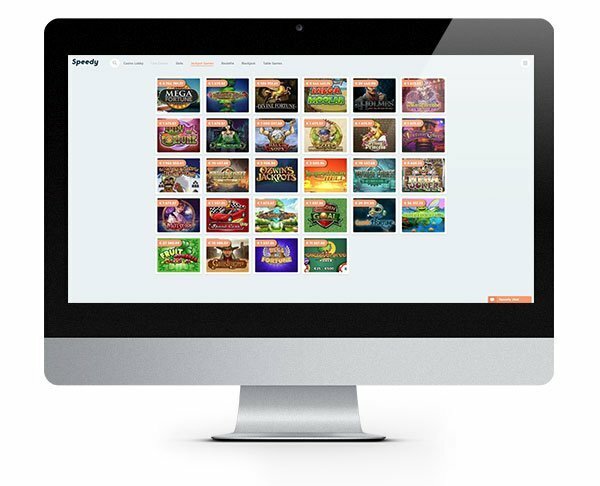 Speedy Casino is built for gaming fans who want to take all the hassle out of playing their favourite games. They have literally stripped out all of the nonsense and ensure that their customers have a slick (and speedy) gaming session whenever they want. 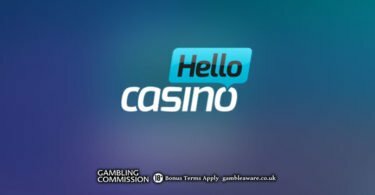 The casino is founded by Hero Gaming, the same company that created Casino Heroes and has taken on board everything their players have told them to create Speedy Casino. With no wagering terms, players will benefit from direct withdrawals which literally means, you can play and then take out your cash whenever you want to and walk away! 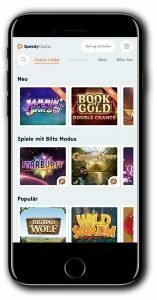 Speedy Casino is licensed within the EU but is currently only available to players residing in Sweden, Finland and Germany. Let’s hope it’s opened up to a wider audience soon though as it is exactly what we’ve all been waiting for! Speedy Casino is available to play on your desktop or mobile. 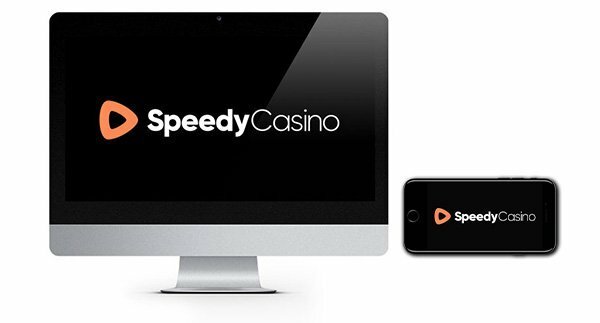 If you are playing on mobile, simply open up the website in your browser or download the Speedy Casino app from the App Store. At Speedy Casino, all deposits go through Trustly’s Pay N Play system. You will play in your own currency, and neither Speedy Casino or Trustly will charge any fees for your deposit. Deposits and withdrawals will take place instantly. If you have any queries, there is some helpful information within their FAQS. Alternatively, contact their help team via their live chat service. What is Pay N Play? If you are yet to discover the delights of Pay N Play, let us enlighten you! Pay N Play is a service provided by Trustly which cuts out all the lengthy registration processes you may experience playing at some casinos. With no registration and no withdrawal wait times, you can simply play the games you love and collect your winnings on the spot. Totally securely and hassle free! The whole ethos at Speedy Casino is that you can pop in for a game whenever the mood strikes and have a fast and fuss-free gambling session on any device. Their designers have helpfully facilitated this by ensuring the collection of games is neatly displayed and organised logically. You can find and play the games you want quickly. The games collection features multiple slots, jackpots, roulette, blackjack and other table games. So there is a choice of games to suit most preferences. For seasoned players, many of the games will be very familiar with titles from NetEnt, Microgaming, Big Time Gaming, NYX, Play ‘N Go, Evolution Gaming and many other leading software vendors. If you love slots, there are plenty of favourites you can play at Speedy Casino. Just a handful include Berry Burst, The Goonies, Who Wants to be a Millionaire, Jurassic Park, Game of Thrones and Immortal Romance! We absolutely love this casino! They have taken all the things we hate about playing at online casinos, ripped up the rule book and started fresh with a solid casino you can trust! It’s all about the gaming and keeping things straightforward and simple for their players who just want to enjoy slots and take their winnings out as and when they happen. No catch, no wagering, no fuss! IMPORTANT NOTICE – Make sure you are aware of gambling regulations in your country of residence before you register at Speedy Casino. Speedy Casino is fully living up to their name with fee-free, instant deposits and withdrawals and no wagering requirements!